All clubs at Brookfield Community Primary School are Free! All children must be collected from after school clubs by a responsible adult. Samba Club is continuing each Monday. Click on the drums for a Samba taster! 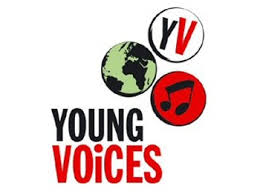 Every year, Brookfield Community Primary School participates in the Young Voices Choir at Manchester Arena. This is a spectacular event with hundreds of children joining together to contribute to the amazing sound. Click on the logo to see and hear more.